For building owners, in conjunction with our commercial solar installations, we combine energy efficiency, energy procurement, demand response, energy efficiency, and other renewable energy technologies to significantly reduce your total energy costs. We bring 38 years of design development, entitlement approval, construction and finance experience to our customers and partners. 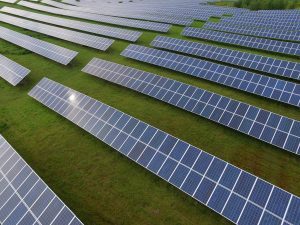 As solar developers, energy storage, EPC and O & M providers, we bring turnkey solar solutions to our partners in Massachusetts, Rhode Island, New Hampshire, Connecticut, Vermont and New York. Contact us to find out how we can help you reduce your energy costs. We are based in Boston, Massachusetts and serve clients throughout Massachusetts, Rhode Island, New Hampshire, Vermont, and New York. Pope Energy is part of the Pope Industries, Inc. group of companies. The Pope companies have over 38 years of executing promises made to its diverse customer base. Our multi-disciplinary experience of business management, technical design, development, construction, and finance provide us with a unique prospective to listen to the distinct needs of our clients and investors and offer solid project development choices with well-managed execution. We have built our reputation on executing our promises and treating all parties in the relationship as we would like to be treated. These values extend to our customers, channel partners, and our employees. As developers, we know that our fully developed solar projects will be capital assets in the communities where our projects are located. Our projects will become part of the fabric of the community, and as such, our projects must be thoughtfully built assets that provide broad benefits. We are team builders. We surround our clients and projects with the right professionals and organizations to deliver the desired objectives of building great projects. We care. We care about the quality of work and service we provide to our clients, regardless of the price point; we care about executing our promises; we care about making all participants in the transaction successful and we care about doing business with people who mirror our philosophy of doing business.